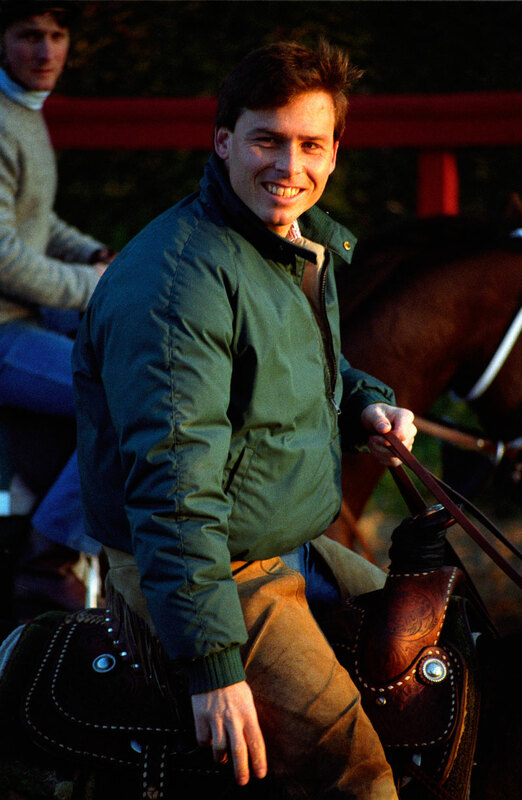 Twenty years ago, Jeff Lukas was the top assistant to his legendary father, thoroughbred trainer D. Wayne Lukas. Then, one morning at Santa Anita, site of this weekend’s Breeders’ Cup, he stood in the path of a charging horse and lost everything. Or did he? Lukas’s three-bedroom home in Atoka, Okla., is surrounded by the same sort of white rail fence found in the horse country of Kentucky. On a cloudless autumn afternoon, Jeff Lukas walks out the front door of the First Bank branch office in the small southeastern Oklahoma town of Atoka. This is where he works now, in a business owned by a generous old friend in a village of slightly more than 3,000 residents. It’s a very different life from the one he once lived, when some of the wealthiest and most powerful men in America gave his father their money to buy and race thoroughbreds, and his father entrusted him with much of the work involved in developing those horses into wildly profitable running and breeding machines. But that was before the accident that almost killed him. Now Lukas, 55, wearing a striped, cotton golf shirt stretched over an ample stomach and tucked into a pair of workman’s blue jeans, slowly descends four short steps to the bank’s parking lot and walks toward a visitor’s rental car. His right leg trails behind his left. Climbing into the car is difficult work that isn’t finished until Lukas drags his right sneaker, the kind with Velcro straps instead of laces, onto the floor mat, and expels a deep breath. Lukas was instrumental in the development of some of his father’s most important horses, including 1988 Kentucky Derby winner Winning Colors. He lives alone in a three-bedroom brick ranch house at the end of a gravel road with several similar houses. It is a nice home, purchased by his father six years ago for $200,000, the only home on the street that is surrounded by a three-rail white fence of the type seen undulating for endless miles in the rolling green horse country of Kentucky, separating one breeding farm from another. “The fence was my idea,” says Lukas. He smiles at that. His two-car garage is empty and immaculate. There is a sign taped to the door into the kitchen: turn off alarm, Lukas’s reminder to himself, because he might forget. Most of the people in his life—his old life, the one before the accident—are far away, connected to him only by phone, email and bank accounts. His father, D. Wayne Lukas, is improbably winning major horse races again at 78 and will regale the media with stories this weekend at the Breeders’ Cup races at Santa Anita Park near Los Angeles. Jeff’s mother is in Wisconsin, where she has always been. His former wife is remarried for the second time and living in California. His son graduated last May from the U.S. Air Force Academy—Jeff was there for that one, though it wasn’t easy—and is stationed in Mississippi. His daughter is the starting goalie for a college soccer team in California. His old racetrack assistants, the guys he mentored and browbeat and loved, have gone on to careers of their own. One morning a horse ran over Jeff Lukas and changed his life. But life went on just the same, because that is what life does. For him and for all the others. He punches a series of numbers on a pad next to the door inside the garage, pushes the door open and walks in the house. Lukas (right) and his father riding their stable ponies while supervising morning workouts in May 1993, about seven month’s before Jeff’s accident. He had joined his father’s operation in 1978, after cutting short a Division III college football career at Wisconsin-River Falls. Go back 20 years. Jeff was the exacting and tireless first lieutenant to his father. He once worked eight years without a day off, each workday starting at 4:30 a.m. and often ending after dark. D. Wayne Lukas seized the horse racing business by the throat in the 1980s. He became the first trainer to open multiple divisions around the nation; his horses could win major races in California, Kentucky and New York on the same day. Lukas worked with unmistakable (and sometimes off-putting) flair; he rode a saddle pony and wore leather chaps and a white Stetson in the morning and showed up for races in custom $3,000 suits and aviator shades in the afternoon. At its peak, D. Wayne Lukas Racing Stables had more than 400 horses (200 of them in training for races), 380 employees, a private jet and a helicopter. Lukas shared the chopper with his most successful client, Eugene V. Klein, the L.A. insurance and entertainment magnate who once owned the Chargers. The most important member of Lukas’s operation was Jeff, his only son, born to Janet, the first of Wayne’s four wives. Jeff had begun working for his father when he was in elementary school and Wayne was a high school teacher and basketball coach in Wisconsin who trained quarter horses out West on summer vacations. After cutting short a Division III college football career at Wisconsin-River Falls, Jeff joined his father full-time at Santa Anita in 1978 and by the early ’80s was running the company’s East Coast division at Belmont Park and Saratoga in New York. The men talked at least three times a day. “I don’t know that you would say we had a normal father-son relationship, because we were both so intense in what we were trying to do,” says Wayne. “But we had a real good understanding that we cared about each other.” And while Wayne was the visionary genius—and risk-taker—behind the stable’s rise, Jeff was the taskmaster who made the operation hum. “Jeff was the glue,” says Todd Pletcher, 46, a former Lukas assistant who worked primarily under Jeff from 1989 to ’95. “Wayne was the boss, but as far as the inner workings of the racing operation, Jeff was absolutely the backbone, no doubt about it.” Since 2004, Pletcher has won five Eclipse Awards as the nation’s outstanding trainer, and he’s threatening Wayne Lukas’s career earnings record. 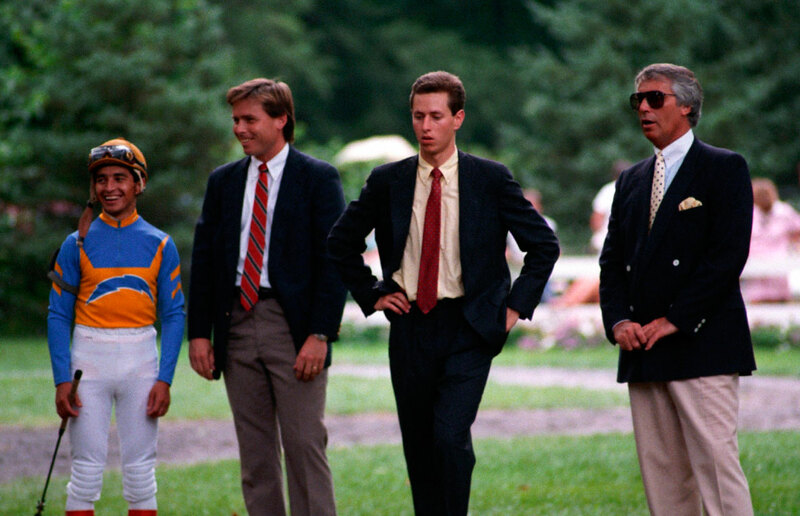 At Lukas Stables, Jeff (above, second from left, with jockey Jose Santos, Pletcher and D. Wayne Lukas at Saratoga in 1989) was an intimidating taskmaster, unlike the gentle man his friends know today. The rewards of all of this work were plentiful. 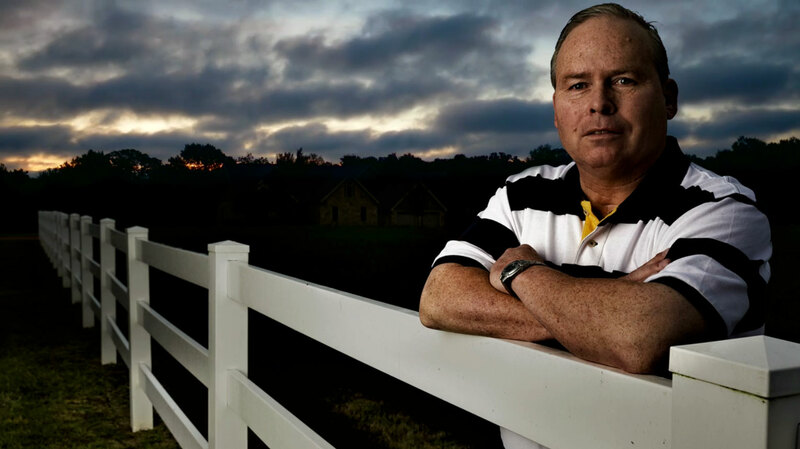 By the fall of 1993, Jeff, then 36, was making more than $600,000 a year in salary and from his ownership stake in horses, and he was being courted by some of the richest men in the world to leave his father’s side and run their racing stables. (Jeff says now he would never have jumped; friends of both Wayne and Jeff are divided in their opinions). In mid-November 1993, a little less than a decade into their marriage, Jeff and his wife, Linda, took a weekend trip to Las Vegas. They had met one morning when Jeff and his father went into the ski shop near the Santa Anita racetrack to buy parkas for chilly mornings at work. Linda, who worked behind the counter, was 18 and taking classes at community college; Jeff was 24. Three months after their first date (a trip to the track), they went on the road together, staying in hotels around the country as Jeff traveled the path to the Kentucky Derby with the Lukas stable’s best 3-year-old horses. Jeff and Linda figured that if their relationship survived that trip, it had a chance to last. They were married in the spring of 1984 and delayed having children because both had come from families riven by divorce. When Winning Colors won the ’88 Derby, Linda was enduring a difficult pregnancy that would end in a miscarriage. But by the time they went to Vegas, more than five years later, they had two small children: a son, Brady, three; and a daughter, Kelly, 10 months. Two decades later, Linda Lukas-Cosgrove, 50, pauses as she tells this story, then adds wearily, “I guess I should have knocked on wood.” She raps the knuckles of her right hand three times on her kitchen table. One month after that weekend trip with Linda, Jeff Lukas rose before dawn on Dec. 15 and made the short drive from his family’s home in Glendora, Calif., to Santa Anita. There he helped supervise workouts for Lukas horses, including a talented soon-to-be-3-year-old named Tabasco Cat. He was the Lukases’ best hope for the Derby, five months later. He was also a handful of animal. “He was what we call a high-feeling horse,” says Pletcher. In midsummer, when Tabasco Cat was stabled at Saratoga, his owners had discussed having him gelded, which is commonly done to calm aggressive thoroughbreds. But Jeff wouldn’t allow the Cat to be cut, convinced that he could be controlled and could win races and retain his value as a stallion. Yet on this morning, Tabasco Cat tore loose from his handlers and sprinted on a packed-dirt walkway next to Lukas’s Barn number 66. According to witnesses, Jeff did what horsemen are taught to do: He stood in Tabasco Cat’s path and waved his arms. The horse did not stop. He ran into Lukas at nearly racing speed and threw him high into the air. Lukas landed on his back, and the whiplash effect slammed the back of his head against the hard earth, fracturing his skull and injuring parts of his brain. He was airlifted to Huntington Memorial Hospital in Pasadena and came under the care of then 48-year-old neurosurgeon William Caton. Tabasco Cat, whom Stewart remembers as “a dangerous horse,” was a 2-year-old when he got loose and plowed into Lukas on Dec. 15, 1993. The following spring, the talented colt won both the Preakness and the Belmont. “He was very, very gravely ill,” says Caton. “Twice I was at his bedside and he had lost all his neurological function.” On the Glasgow Coma Scale, Lukas twice scored a 1-1-1, which means his pupils were fixed and dilated, he had no motor response and he wasn’t responding to verbal stimulation. His intracranial pressure (ICP) rose to nearly 90mmHg, a level that, Caton says, threatens to rupture the brain stem and “is not compatible with survival very often.” As relatives and friends of Lukas’s sat vigil, Caton took aggressive medical measures that included inducing a barbiturate coma. 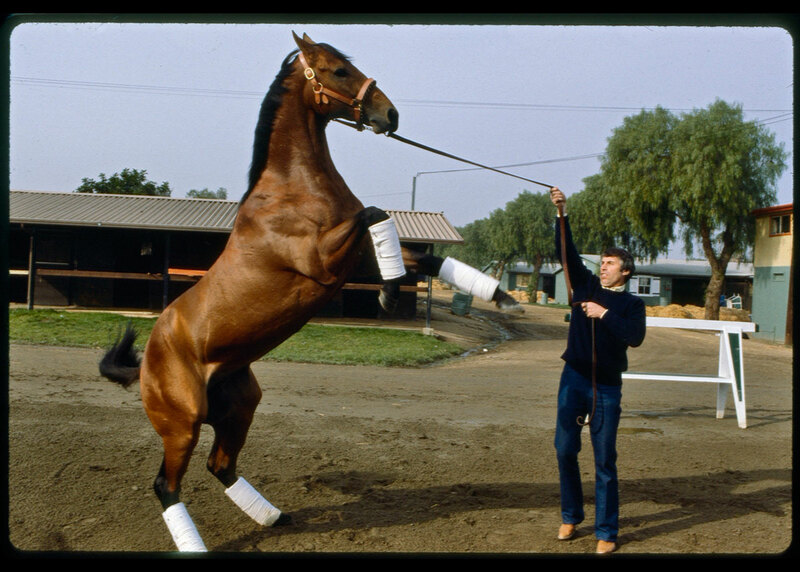 In the months that followed, as winter turned into spring, Jeff improved dramatically while undergoing rehabilitative therapy at Casa Colina, a facility in Pomona, Calif., which received significant financial support from horse owner and Lukas client Bob Lewis, who moved Jeff to the head of a long waiting list for entry into the program. At the same time Tabasco Cat developed into a genuine contender to win the Kentucky Derby, just as Jeff had thought he would. They became a story, the young trainer and the fast horse that nearly removed him from the earth. The prose of the day was laden with optimism that reflected Jeff’s rapid improvement, but perhaps also the sports culture’s need for a definitive outcome. Preferably a win, not a loss, and certainly nothing in between. Lukas’s miraculous improvement leveled off shortly after the spring of 1994. He did not become his old self; he became, in a real sense, somebody else. This was not the only such story. For a piece in The Philadelphia Inquirer in late April 1994, Wayne Lukas told writer Jay Searcy, “There’s no question in my mind. This is a miracle. Doctors say he can be back to work full-time in September. Except for some lost vision in his right eye, he’s going to be 100 percent, better than ever.” During the week of the Kentucky Derby, Lukas told Michael Madden of The Boston Globe that he expected Jeff eventually would resume handling a string of 30 or 40 Lukas horses. None of this happened. None of it came close. 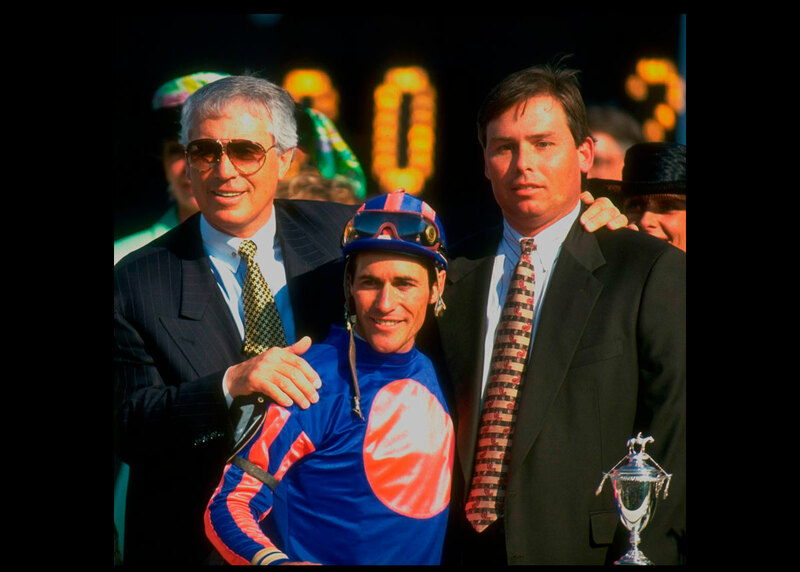 Jeff Lukas’s miraculous improvement leveled off shortly after the spring of 1994. He did not become his old self; he became, in a real sense, somebody else. His career ended, his marriage dissolved, his children grew up largely without him present. He learned to survive, but struggled to live. One story ended, and another story began. That second story is a more challenging one, without the clean lines of victory and defeat that draw humans to sports. It is a story that has affected all of those close to Lukas in ways that they could not have imagined, and it is a story that compels all of them—and us—to measure the value of one life given against the value of a seemingly richer life lost. Jeff was still driving because doctors were unaware of the severity of the vision loss in his right eye. In fact he had no vision from midline out on his right side. (Jeff was unaware of this, because what he could see appeared to be a full visual field.) He crashed into his own garage. He had to stop driving. He tried to go back to work at the Lukas barn, but he grew tired easily; the injury to his brain had affected not only his vision, but also his balance, stamina and focus. Working around high-strung, 1,000-pound animals, he was in danger. Caton had indeed warned the Lukas family that patients with brain injuries often undergo significant personality changes. That, combined with the strain of physical rehabilitation, can be rough on a marriage, he said. “We saw a counselor together,” says Linda. “The doctor said to Jeff, ‘Do you love her?’ Jeff said, ‘Sure, I love her like a sister.’ ” (Jeff does not recall saying this.) Jeff moved into a guesthouse on his father’s property in Arcadia, Calif., 20 minutes from Glendora, and Linda suggested they try dating each other. “He didn’t call me for three months,” says Linda. “After that it was a matter of who would file [for divorce] first. He filed.” The Lukases were legally divorced in August 1996. Unable to work at the racetrack and increasingly uncomfortable in the exurban blur of Los Angeles, Jeff needed to move. 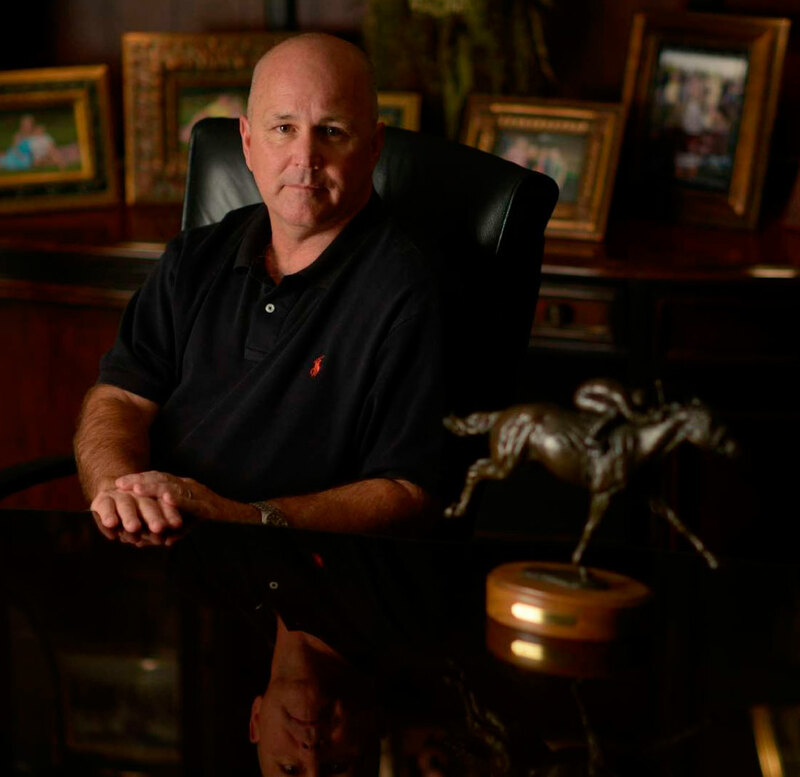 His personal affairs were being handled—then as now—by David Burrage, an accountant who was the general manager of Lukas Racing Stables from 1980 to ’99. Burrage, who was also one of Jeff’s closest friends, helped secure a place for him at Padua Stables, a breeding farm in Summerfield, Fla., owned by a client of Lukas’s, Satish Sanan. Jeff stayed nearly four years in Florida, but he needed more assistance than Padua could provide, and he was still not safe around horses. In February 2003, Burrage moved Jeff back to his hometown of LaCrosse, Wis. He lasted a year there, exhausting his mother, who was his primary source of support, and falling several times on ice- and snow-covered walkways. Jeff desperately wanted to work with horses again, so he moved back to Florida in the spring of ’04, more than 10 years after the injury. He lived independently in a home near a horse farm in Ocala, assisted by paid caregivers, but there was too little structure and social interaction in his life. 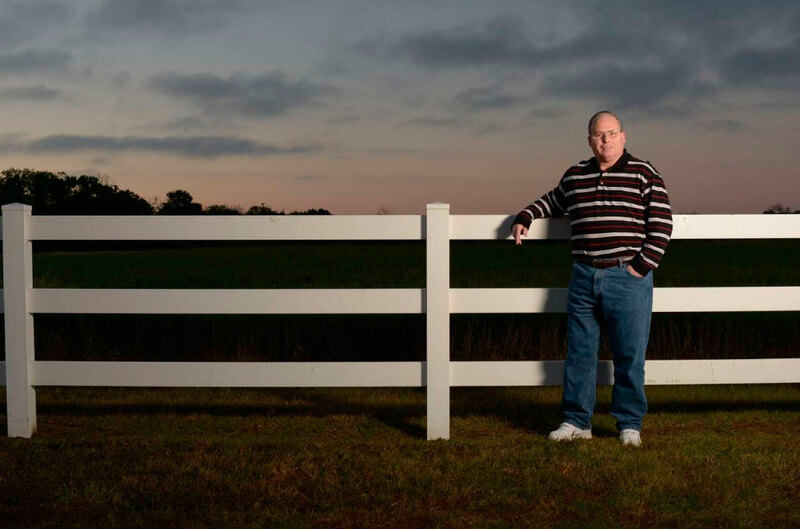 And the horse-farm environment remained unsafe, despite Jeff’s desire to recapture a piece of his old life. In ’07, with the support of the Lukas family, Burrage finally moved Jeff to Oklahoma. Atoka, named by the Choctaw in the 19th century, sits 49 miles north of the Red River, which divides Oklahoma from Texas, and is roughly equidistant from Dallas, Oklahoma City, Tulsa and Fort Smith, Ark. Burrage and his brother Steve own five branches of First Bank in small southeastern Oklahoma communities. Atoka was a place where Jeff Lukas could become comfortable. “I just felt like I could look out for Jeff better here than anyplace else,” says David Burrage, who lives in Atoka. His immersion in Lukas’s life is an act of towering generosity from a man who has felt much pain himself. One of two children from Burrage’s first marriage was a daughter named Sara. She was the president of her junior class and a cheerleader when David and his wife separated. “Our [subsequent] divorce sent her reeling,” says Burrage. “She went down a tough road, became addicted to meth, had two children under bad circumstances.” Sara died in December 2006 at age 28; Burrage says she hanged herself. “It was a bad, bad deal,” he says. “And we live with that.” Burrage and his second wife, Tammie, adopted Sara’s children, Skylar, now 13; and Jesse 11. Lukas moved to Atoka in October 2007, 10 months after Sara’s death. Burrage set him up with a job transporting documents from one bank branch to another and inspecting construction projects financed with loans from the banks. Lukas is picked up at 8 a.m. and driven among bank branches and building sites by a colleague. “Jeff conducts himself as the manager of the operation,” says Burrage. “He is serious about his duties, which is exactly how he approached his duties before the accident.” He is paid a small salary by Burrage, but his savings were exhausted over years of supporting himself and making monthly child-support payments. Lukas goes to services with Burrage and his family at the First Baptist Church in Atoka, and afterward they all eat Sunday dinner together. Lukas’s Atoka home resembles a racing museum. In the living room, den and each of the three bedrooms, the walls are lined with photographs depicting significant moments in his training career. He walks from frame to frame, pausing at each like the curator of an exhibition. He talks uninterrupted for 11 minutes about Badger Land (a Triple Crown contender in 1983 that Jeff owned with a partner and named for Wisconsin’s football team), for 14 minutes about Lady’s Secret (describing each of her 45 career starts in detail) and for nearly 20 about the sequence of events that led to the Derby victory by Winning Colors. He sounds like a documentarian narrating his own life, his voice rising and falling with the outcome of races that took place long ago. The Santa Anita Derby! This was the test, to see if Winning Colors could beat the boys! His recall is flawless and spirited. It is clear that despite the damage to his brain, strong memories have endured. Lukas&apos;s immaculate house is like a racing museum, with mementos and trophies from his former life scattered throughout. One exception is this framed Christmas card from Brady and Kelly that hangs on the wall in his bedroom. Jeff&apos;s home is immaculate. A housekeeper comes by once a week, but, says Burrage, “Her duties are limited to what Jeff misses.” On this day, there is nary a crumb on the kitchen counter, nary a dirty glass in the sink. When Jeff was his father’s top assistant, he organized the operation with intricate work schedules for both horses and humans. Now he makes a schedule for himself and carries it with him throughout the day, amending it with a pen that he never leaves behind. Discipline gives balance to his life now, just as it did before his injury. On the day I met Lukas, he was generally relaxed (save for the short car ride), but two weeks later, in the presence of SI photographer Bill Frakes, Jeff was uneasy with the sensory overload of a rainstorm and high winds. He struggles similarly with crowds and noise, both of which were a problem at Brady’s Air Force Academy graduation in the school’s football stadium. Lukas doesn’t remember the accident, which is common among brain injury victims. It has been described to him so many times that he can explain what happened without actually recalling it. Those close to him say that only occasionally over the years has he fallen into self-pity. “I was talking to him once,” says Stewart, “and he just looked up at me and said, ‘Dallas, I can’t believe this happened to me. This accident changed my whole life.’ ” Yet those moments are also rare. The Lukas family reunited in Colorado Springs for Brady’s graduation from the Air Force Academy in May (above, from left, Kelly, Brady, Jeff and Wayne). A systems engineering management major, Brady is now a 2nd lieutenant, and is training to be a cyberspace operations officer at Keesler Air Force Base in Biloxi, Miss. It has been difficult for everyone. For Lukas’s children. For his ex-wife. For his father. Not all in the same way, but for the same reason: They lost a father, a husband, a son. Tabasco Cat ran over Jeff, but in a sense he ran over all of them. Brady Lukas, 23, graduated from the Air Force Academy in May with a degree in systems engineering management and was shipped to Keesler Air Force Base in Biloxi, Miss., where he is a 2nd lieutenant training to be a cyberspace operations officer. He shares an apartment with two other recent academy graduates, and on a recent Saturday the three of them were preparing for an afternoon of watching college football. Brady is 6&apos; 1", with a square jaw and his grandfather’s 100-watt smile. Words tumble out of his mouth, more in 20 minutes than his father might have said to a stranger in a week. 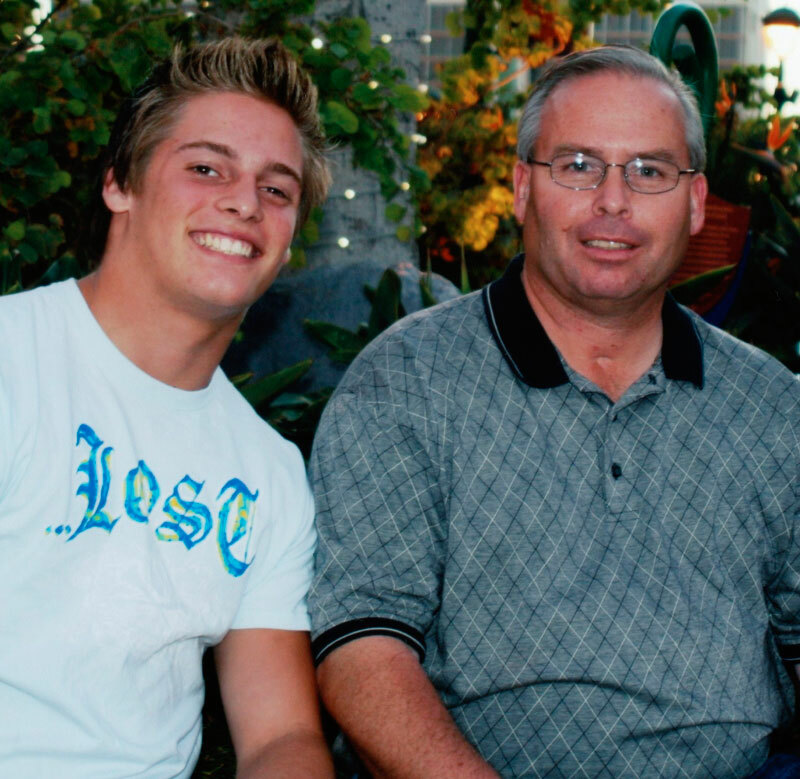 In the first years after Jeff’s accident, both before and after the divorce, Brady spent long hours with his father. On some mornings they would go to Denny’s and read the sports pages over breakfast; on others they would play golf. Jeff made a hole in one after his accident, but he didn’t see the ball tumble into the cup because of his diminished eyesight. “I said, ‘Dad, I think it’s in the hole,’ ” says Brady, “And he went running all the way down to the green. It’s the only time I’ve ever seen him run.” (The ball and scorecard from that ace are framed and displayed in Jeff’s house.) Brady was aware of the accident, but only superficially. “I really just thought of him as a normal person,” he says. Brady threw himself into football. He pounded weights until he weighed 230 pounds and bench pressed 415. He started for two years at linebacker for Esperanza High in Anaheim. “Brady was an awesome football player,” says his Esperanza teammate Blake Poole, who went on to start for two years at Eastern Michigan. “He was strong, but he could move. Our senior year against [rival] Servite, he put this huge hit on [high school All-America fullback] D.J. Shoemate.” Jeff had flown in from Oklahoma for that game, at Brady’s urging. Kelly Lukas, 20, has struggled more, in part because her father took years to understand their relationship and in part because she is so much like him: serious, reserved, conservative. She saw Jeff less than Brady when they were children, although like her brother, she spent parts of summer vacations with Jeff. I met her at her mother&apos;s and stepfather’s new home in San Clemente, Calif., halfway between Los Angeles and San Diego. She was in town because the Humboldt (Calif.) State University women’s soccer team was on a four-day road trip, with games in San Diego and Pomona. Kelly, a redshirt sophomore, is the starting goalie for the Division II Lumberjacks. Kelly, a redshirt sophomore, is the starting goalie for the Division II Humboldt (Calif.) State women’s soccer team. Kelly’s speech has the cadence of Jeff’s before the accident; her eyes and mouth are his too. She has heard this from others, and it frustrates her, because she didn’t know the old Jeff. Like Brady, she received a copy of the 1994 SI from Linda. Kelly used Nack’s article as the foundation for a high school senior English paper about her father. Like her brother, she learned acceptance as she matured. She was a star goalie at Esperanza and now, as a redshirt sophomore at Humboldt, she is the starting goalie for the Division II Lumberjacks, a struggling program under first year coach Paul Karver. “Every team has a mom,” says the 32-year-old Karver. “Kelly is our mom. She’s a strong, quiet leader. Humble, hard-working. 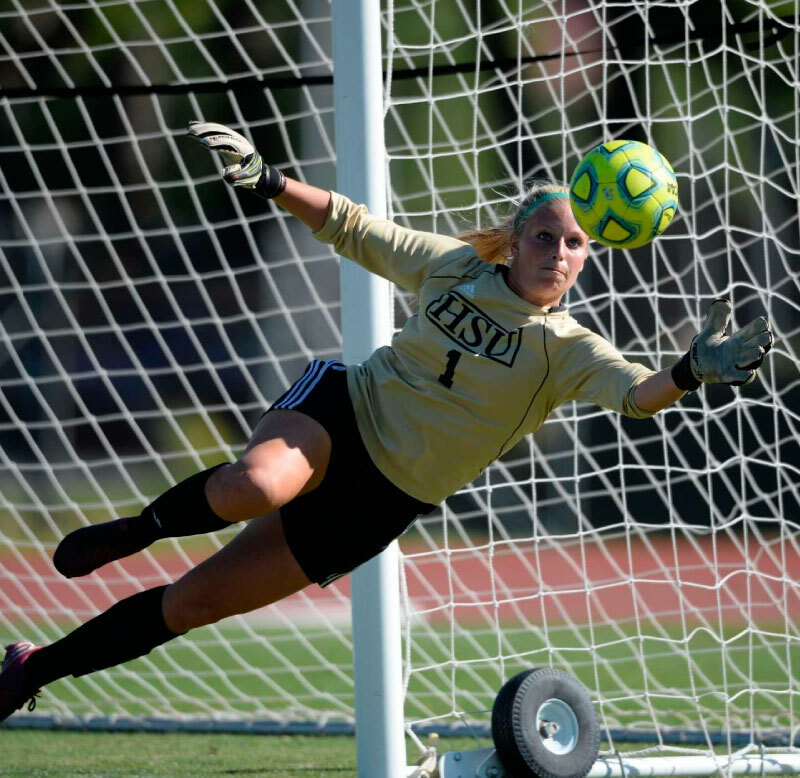 Any input you give her, she’s going to take literally and apply right to her craft.” On Sept. 27, UC San Diego, last year’s national runner-up, peppered Humboldt with 27 shots, but Kelly’s 10 saves helped the Lumberjacks emerge with a 0-0 tie. “She was lights-out,” says Karver. I met up with Wayne on a late August morning in Saratoga Springs, N.Y., the horse racing Valhalla at the southern tip of the Adirondack Mountains, a place where racing remains frozen in the 1930s as a major league sport, though for only six weeks every summer. The Lukas barn at Saratoga is where it has been for a quarter century, across stately Union Avenue, and far behind the lush Oklahoma training track, shaded by century-old elms and maples. As always, the grounds are neatly manicured, a Lukas trademark going back three decades. 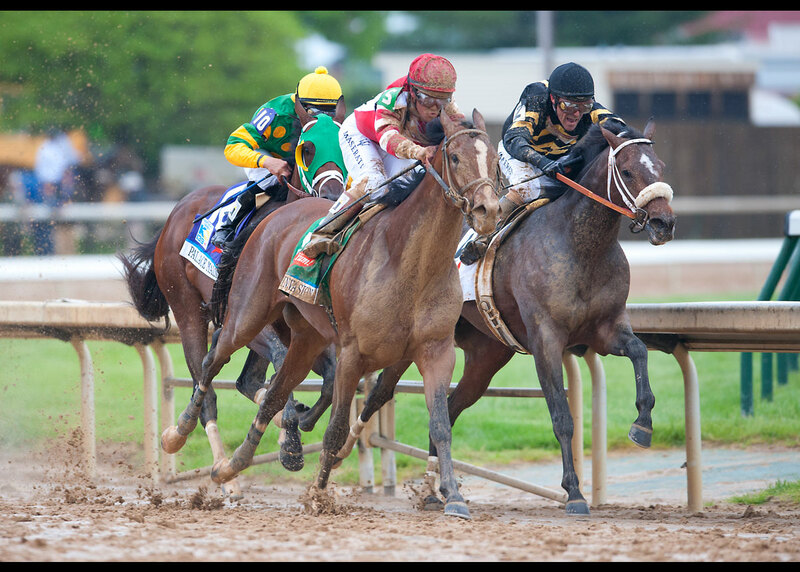 WILL TAKE CHARGE The chestnut colt (left) started all three Triple Crown races for D. Wayne Lukas last spring, with his best finish coming in the Preakness, where he ran seventh. When he ran in the Jim Dandy on July 27, Lukas took his blinkers off and Will Take Charge finished a surprising second. He followed up that performance with two straight victories, first in the Travers on Aug. 24, and then in the Pennsylvania Derby on Sept. 21. He will make his next start on Saturday in the Breeders&apos; Cup Classic. 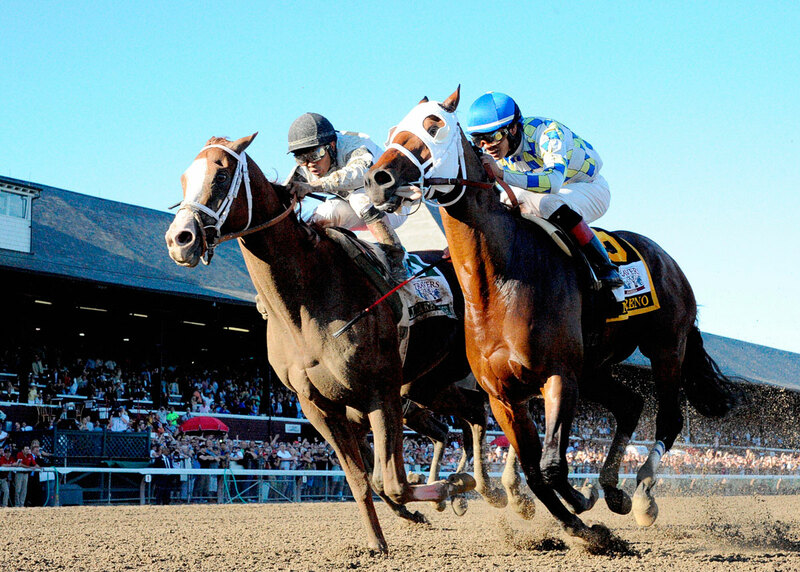 OXBOW His victory in the Preakness last May—at odds of 15-1—was the 14th for Lukas in Triple Crown races. The colt was a game runner-up in the Belmont three weeks later, but suffered an ankle injury in the Haskell Invitational July 28. The Haskell was the final start of Oxbow&apos;s career. He was recently retired to stud at Taylor Made Stallions in Nicholasville, Ky.
THUNDER GULCH The colt&apos;s victory in the 1995 Kentucky Derby made for a winner&apos;s circle reunion between Wayne, Jeff and jockey Gary Stevens, who had won the Derby seven years earlier atop the Lukas-trained filly Winning Colors. 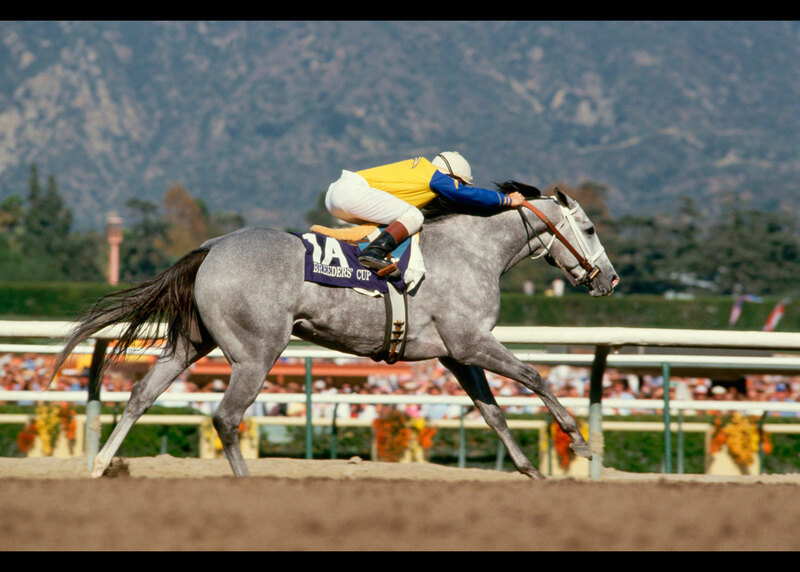 WINNING COLORS The gray filly (8) won the 1988 Kentucky Derby in front-running fashion, leading the race from the first call to the last. Her victory was the first in the Derby for trainer D. Wayne Lukas. 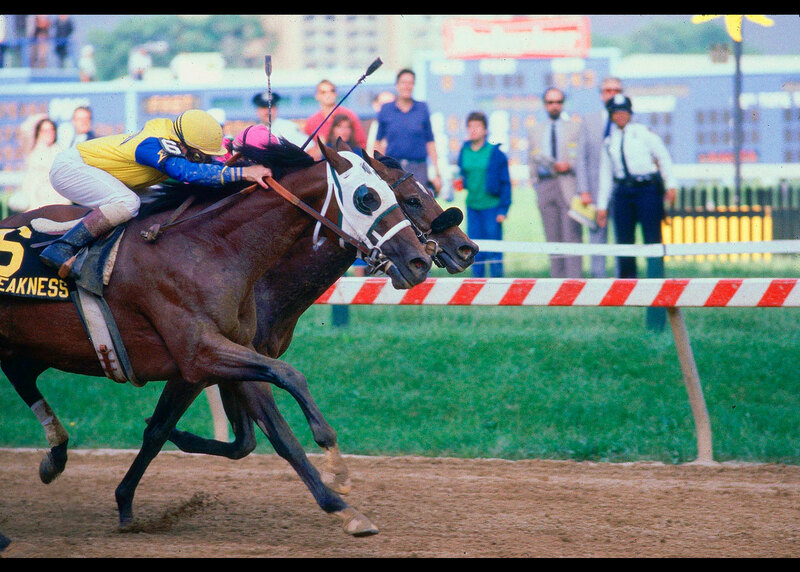 Winning Colors went on to finish third in the Preakness and sixth in the Belmont. LADY&apos;S SECRET The 1986 Horse of the Year, Lady&apos;s Secret won 25 times in 45 career starts. 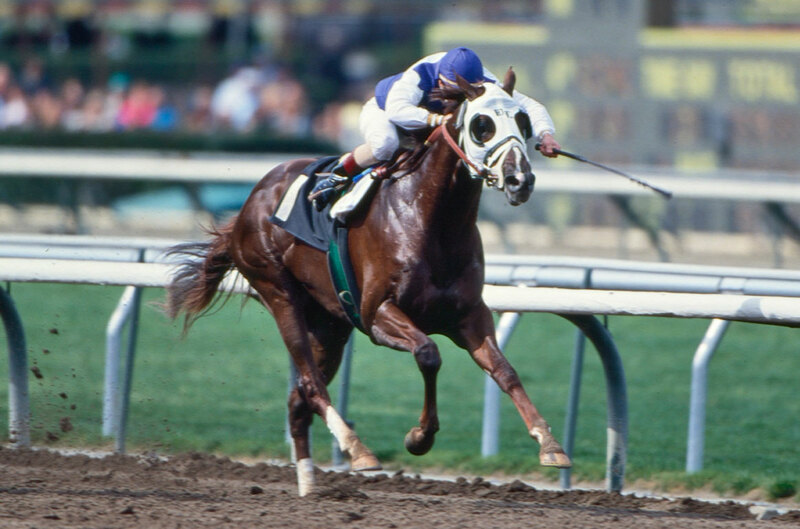 Her record included this front-running 2 1/2-length victory in the &apos;86 Breeders&apos; Cup Distaff at Santa Anita under jockey Pat Day. 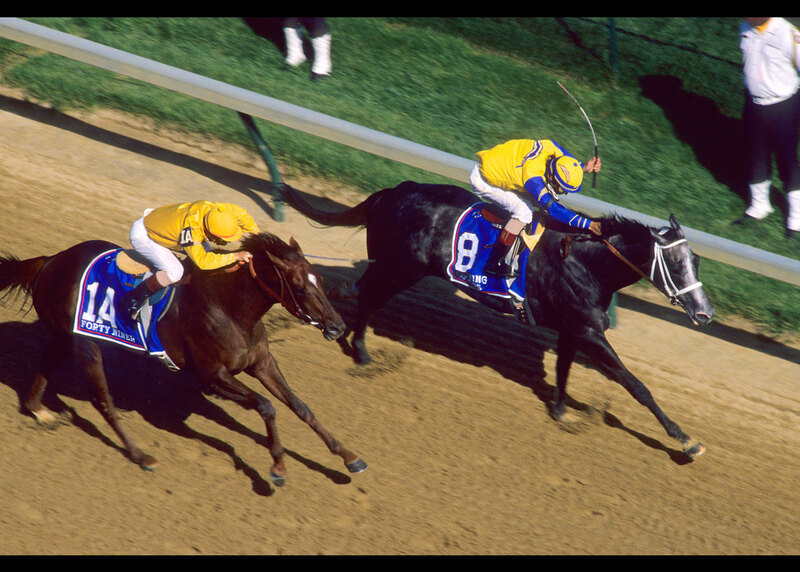 TANK&apos;S PROSPECT The colt (6) won the 1985 Preakness by catching favorite Chief&apos;s Crown (obscured, pink cap) just before the wire and prevailing by a head. STALWART The big colt won the Norfolk Stakes and the Hollywood Futurity for Lukas in 1981, but injured a tendon and never made it to the Kentucky Derby. Stalwart went on to a successful career as a stallion, siring 55 stakes winners. Lukas, two years shy of 80, still wears the chaps and the cowboy hat and the aviator sunglasses. He brought a face to racing in the 1980s, enriched himself and polarized others inside the sport. He was accused of pushing horses too hard and aggressively burning through owners’ money, though seldom were those accusations made in the light of day. Some of that criticism might have been fair, some of it motivated by jealousy. Lukas’s dominance ebbed in the ’90s as his most aggressive owners died and, no small factor, he lost assistants such as Pletcher, McLaughin, Stewart and Jeff. He never left the game, however, and this year he won the Preakness with Oxbow and the Travers with Will Take Charge, who will also be running the Breeders’ Cup Classic on Saturday. Lukas remains an imposing physical presence, bearing his years well; after four divorces he now has a girlfriend. Twenty years ago he was a witness to Jeff’s accident and he can recite the events of that morning—Right before the horse hit him, Jeff tried to move to his left, but the horse went right, like they were in hallway doing that thing people do—and of the following weeks and months as if they happened last week. 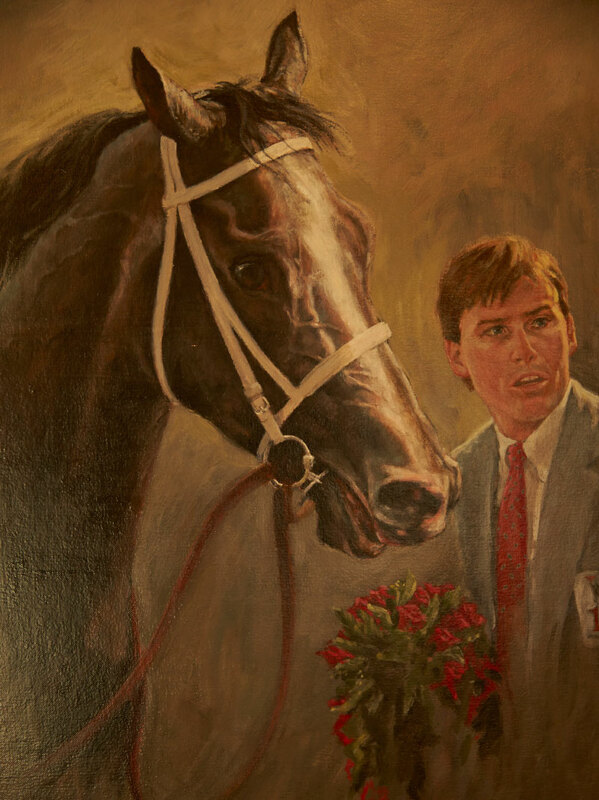 After the accident Wayne took over the training of Tabasco Cat, and the colt won the Preakness and Belmont Stakes, staking a place as one of the best horses Lukas ever trained. It’s impossible to see Wayne’s success and not imagine Jeff at his side, or even in charge, with his dad as trainer emeritus. Lukas doesn’t easily show emotion. But, Caton says, “the Wayne Lukas I know is an extremely kind, caring person who loves his son very much and would do anything to make sure he’s comfortable and happy.” Lukas has been paying bills for his son since the day of the injury. Meanwhile, he plunges forward in his work, still going to the barn every day before the sun rises. 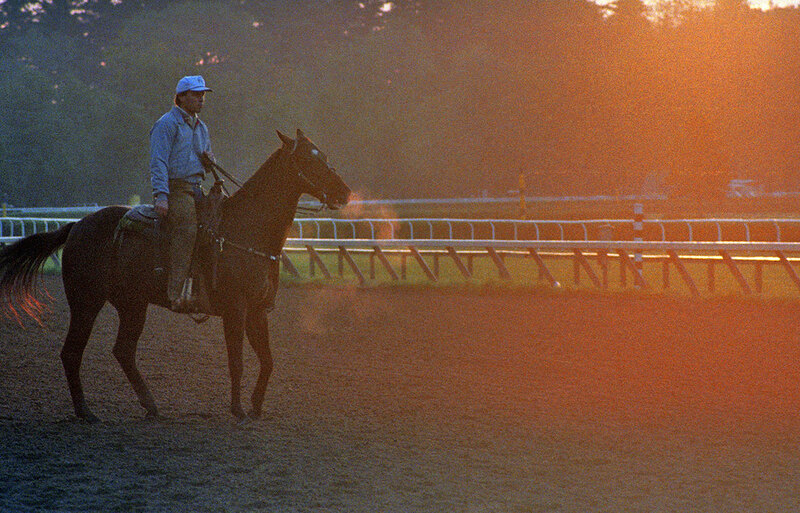 Horsemen, pass by: Supervising a workout at Saratoga in 1987, Jeff (first photo) seemed more than ready to follow in the footsteps of his father. 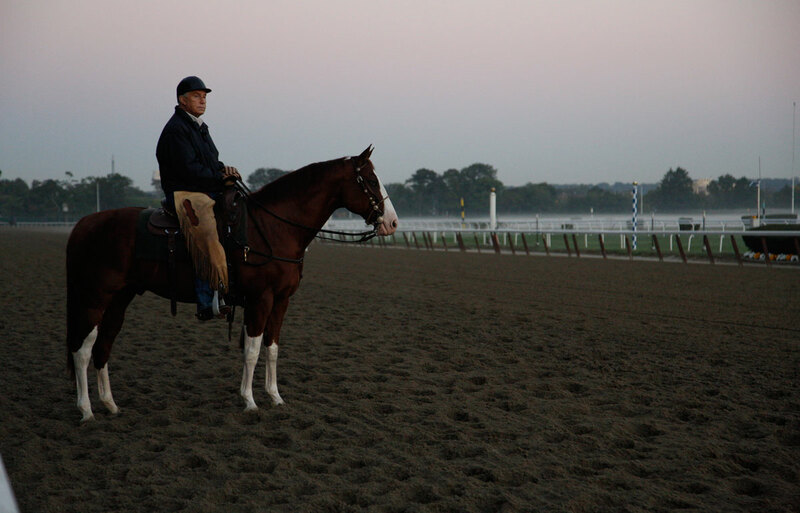 D. Wayne Lukas, 78, shown here watching his horses train at Belmont in 2013 (second photo), describes himself as a "lifer." I came to this story expecting to find a tragedy. A man lost his health, his family, his career. An idyllic life was replaced by a seemingly lesser one. Many others share this assessment, but after using the word sad, they tack qualifiers onto the ends of their sentences, struggling to reconcile Jeff Lukas’s two lives. They are confused. Bill Caton has been treating brain-injured patients for more than four decades. “Thousands,” he says, sitting behind a spectacularly cluttered desk in his Pasadena office. His perspective is different from everyone else’s. Caton knew “virtually none” of his patients before their injuries. We talk for more than 90 minutes and I explain to him that I have a dilemma. A man has escaped death, yet he has lost a life. I am a sportswriter who doesn’t know whether he’s writing about a win or a loss. Caton smiles beneath a head of light grey hair. “You’re writing about a huge win,” says Caton. “Looking at the severity of Jeff’s injury, to survive so well, is extremely rare. Looking at what could have been . . . well, we could have had Jeff die and there would have been a huge void. But look at this: Jeff, I think, is happy. I’ve found him to a be a smiling, happy person, a good companion. In fact, I understand that he was rather abrupt before the accident. Now he is kind, considerate, caring, a lot of good things. Jeff Lukas rises from his lounge chair to see me out of his home. He stops in the kitchen and pulls back the flaps on a tall cardboard box full of personal items, and he begins shuffling through them. There’s a photograph of him in his high school football uniform and another at the barn with Lady’s Secret. He pulls out an invitation to a ceremony held in his honor at the rehabilitation center. “A Tribute to Courage,” he reads. “Honoring, well, me, Jeff Lukas. It’s been a long road back, et cetera, et cetera, et cetera..."
He flips the card back into the box, almost dismissing the moment, and asks if I need directions for the two-hour drive back to Oklahoma City. I tell him my GPS can handle it, but he tears off a sheet of notebook paper and begins constructing a map. The lines are clean and straight, the right-angled intersections a crisp 90°. The words describing turns and landmarks are exquisitely printed, as if with a quill. We shake hands in the empty garage before I walk out into the driveway. Jeff hits a button on the wall and then pushes both hands into his pockets. The garage door rumbles earthward and then whispers against the concrete floor.